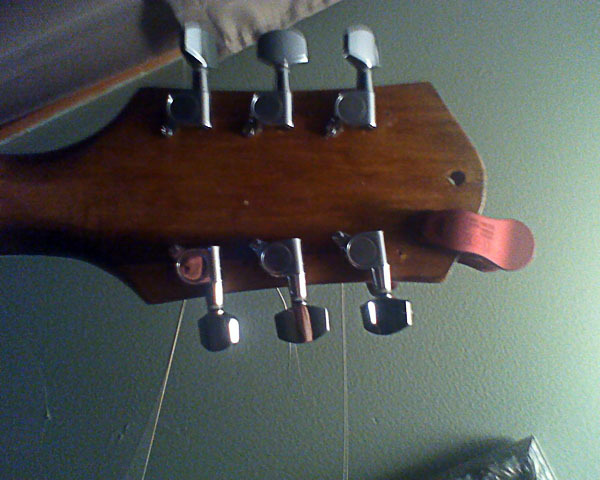 So I decided to add a back plate vaneer to the headstock. The is a line toward the transition of the headstock that I think will be unsightly. So I want to fix it. 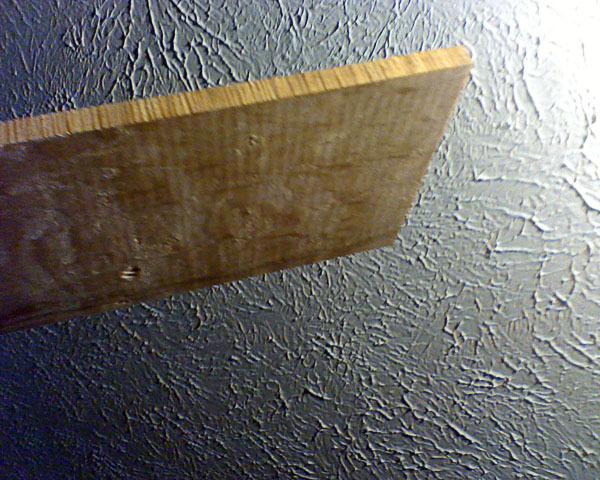 Here is the chunk of birdseye maple to match the tail spline. It's a little bit thick though. 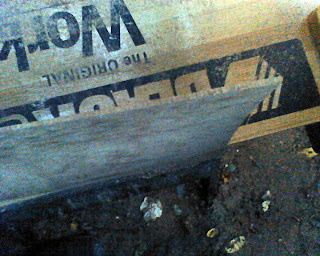 Took it outside and since I don't have a planer I used a belt sander to thickness it. 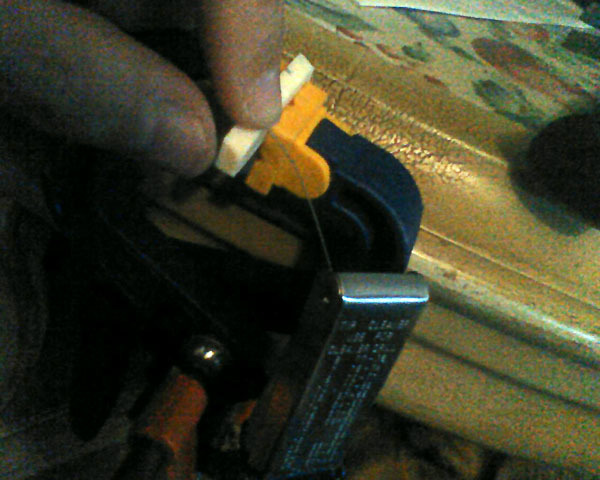 Then clamped it on tight to shape it to the back. 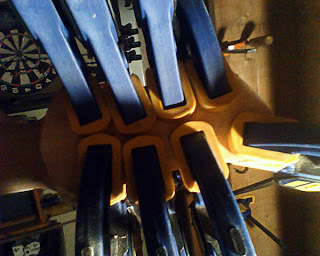 This didn't work even after two weeks of clamping. So I sanded it down some more and dropped it into a pot of boiling water then re-clamped it. This time it worked. 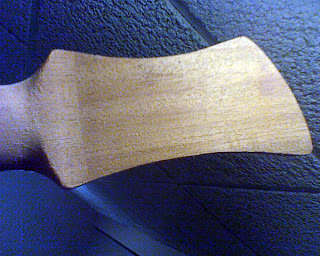 Haven't glued it up yet maybe tonight if I can get the thickness of the entire headstock slightly thinner (to accommodate the tuning machines). 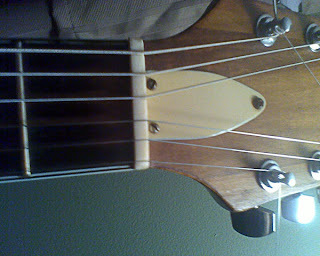 That said I decided to run another test – making a nut for a new-to-me guitar (an old H53/1 Rocket) that I just purchased. My last nut was less than perfect and I thought this would be good practice. I also put some new tuning machines on this guitar. Again, more practice. 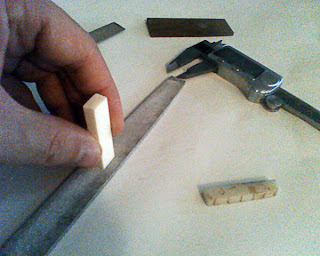 Filing the bone nut down to the shape of the old plastic nut. 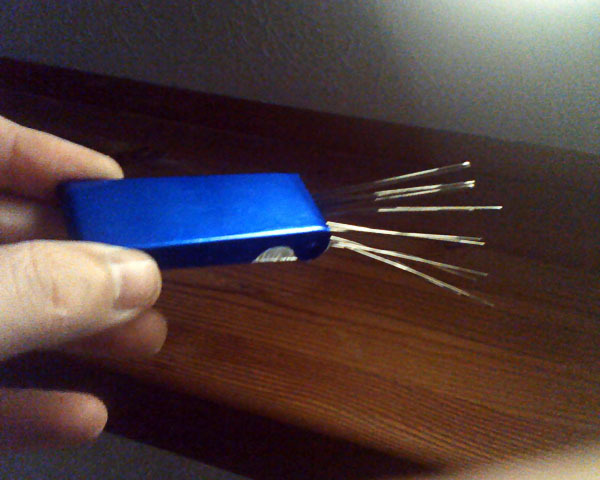 The only issue with this tool was the thinnest slot .10. The wire file was pretty weak and it took some time to make that work. (but it did work) I'm guessing I will purchase the smallest nut file and use this tool for the rest of the slots on my next nut. 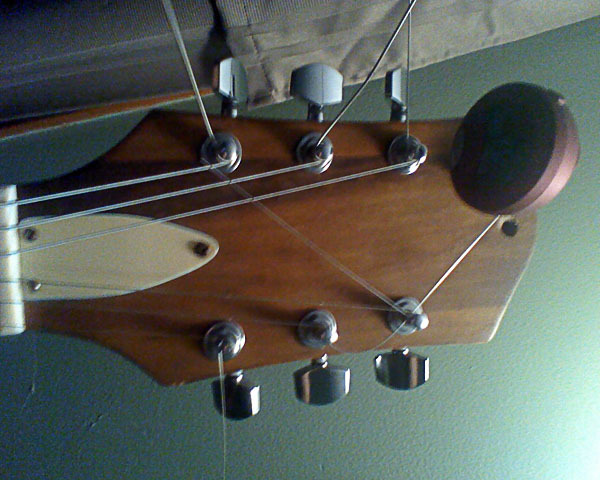 Also replaced all the tuners on that Rocket H53/1. 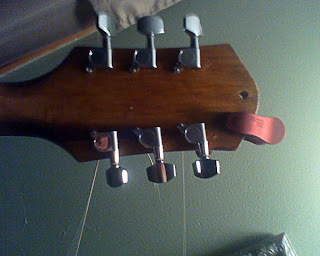 This is a cool old (40 years) guitar, that just got way cooler with the new nut and tuners. And here's the nut on that guitar. All in all I have a lot more confidence in making bone nuts now. 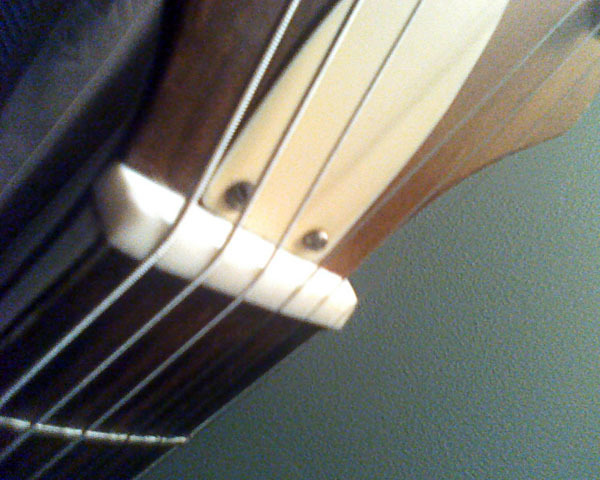 and can't wait to do it for my acoustic build guitar. Straight on shot of the new bone nut.